1) Mika (born Michael Holbrook Penniman in 1983) is a Beirut-born, Paris and London-raised, London, UK-based singer who has a contract with Island Records and used to attend Westminster School. He first appeared on BBC Radio 1 in September 2006. He has a background in classical songwriting. His long awaited first album Life in Cartoon Motion was commercially released on 5th February 2007. It has a coming of age theme, and deals with the transition from childhood to his current position in life. His debut single was Relax, Take It Easy (2006) though the second single Grace Kelly seemed to garner more media attention. In January 2007 he took the UK charts by storm; his second single Grace Kelly charted at N?3 with downloads alone, and climbed to N?1 on January 21, 2007. 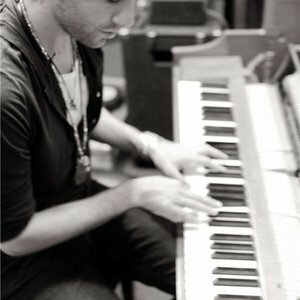 His second album was called The Boy Who Knew Too Much and the main single from that album was We Are Golden. The Celebrate Songfacts reports that his third album is called The Origin of Love and the main single from that album is Celebrate. In December 2006, more than 130 UK-based music critics and broadcasters took part in the BBC's prestigious Sound of 2007 music poll and MIKA was named the best new talent for 2007. 2) Mika. Austrian electronic dance pop band formed by Matthias Kertal and Simon Nola. Some albums appearing in this profile were released by this band, not by the Mika mentioned above. 3) Mika Singh (Indian Singer) Mika, born as Amrik Singh on June 10, 1977, in Durgapur, West Bengal is a bhangra / rap Indian singer, and is a highly acclaimed Punjabi singer. He has done many film songs which include singh is kinng, mauja hi mauja, guitar. Although his range as a playback singer is limited, almost all his songs are a hit, the latest being Aapka kya hoga from the film Housefull. He has also participated in the reality show iss jungle se mujhe bachao and Music Ka Maha Muqabala.